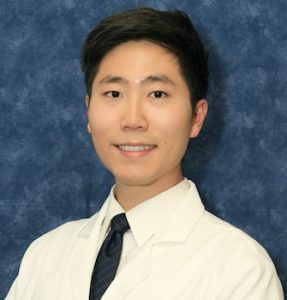 Dr. Geren and Dr. Mady would like to welcome Dr. Chris Kim to join our team at Mt. Vernon Center for Dentistry. Dr. Kim previously lived in the San Francisco bay area before recently moving to Northern Virginia with his beautiful wife, whom he first met in kindergarten! While dedicated to dentistry, Dr. Kim enjoys a variety of activities that keep him busy. He has been an avid skier ever since learning to walk and he enjoys expressing his culinary creativity in the kitchen at home. Dr. Kim’s love for the outdoors has taken him on many adventures, from trekking the four day Inca Trail to Machu Pichu in Peru, to close encounters with a sleuth of black bears during backpacking trips across Yosemite in California. Despite his love for outdoors, his true passion is with dentistry, whether it is via continuing education courses, treating patients, or volunteering for dental mission trips and local clinics. It is not uncommon to hear patients comment on Dr. Kim’s enthusiasm for taking care of his patients at every visit. Dr. Kim continually strives for excellence while creating smiles in all aspects of his patients lives. He is committed to building trust with his patients and the establishment of long-term oral health so that his patients can smile at life. He aims to partner with patients to provide the highest quality dental experiences. Dr. Kim’s procedures are designed to improve his patients’ health and appearance. You can surely trust Dr. Kim to perform outstanding work in a calm, professional manner. After graduating from University of California, San Francisco School of Dentistry, Dr. Kim completed an Advanced Education in General Dentistry residency at UCSF where he received advanced training in prosthodontics, endodontics, and dental surgery. He attended and completed the NYU Implant Fellowship program. He has maintained more than ten times the continuing education requirements every year while in private practice. Dr. Kim continues his dental education at the prestigious Kois Center for Dental Excellence and the Frank Spears Dental Education seminars. Dr. Kim is the only accredited dentist in DC Metro area that provides bioclear treatments to patients.